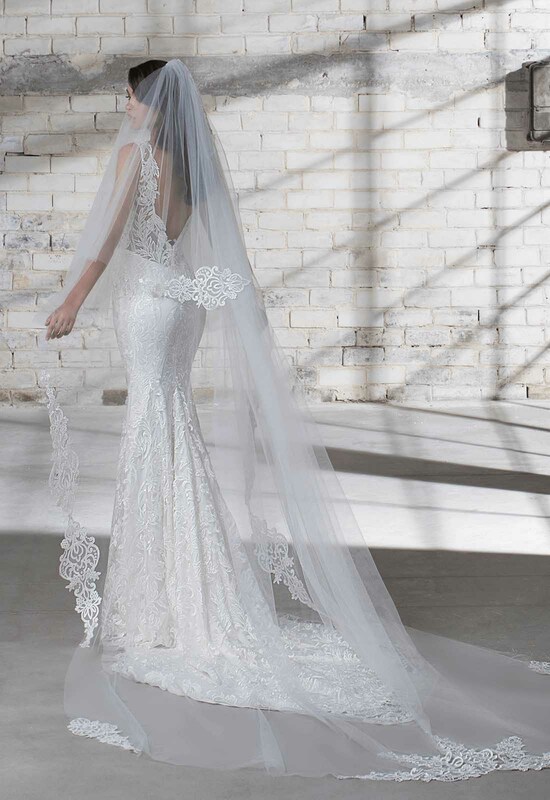 Normally thought to be an old and traditional wedding accessory, veils are making a sweeping and gorgeous comeback in the bridal world. 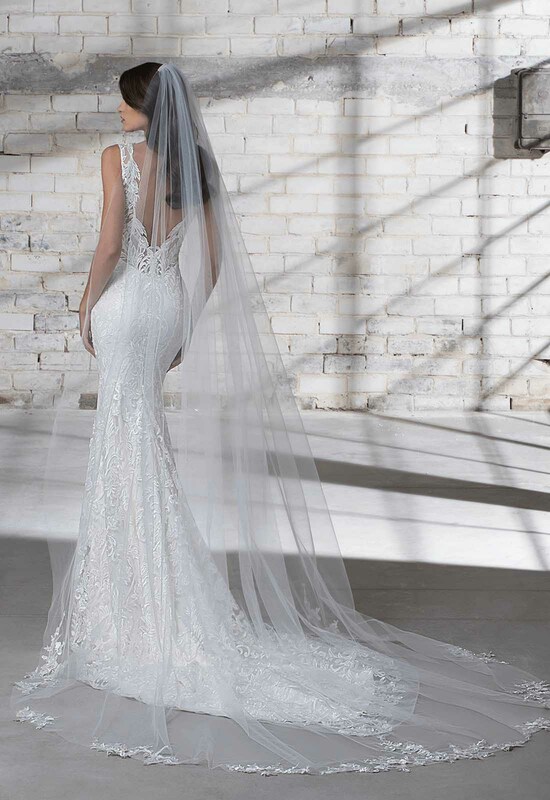 Much lighter and modern than the veils our mothers and grandmothers used to wear, veils have been updated to match brides new and versatile style. 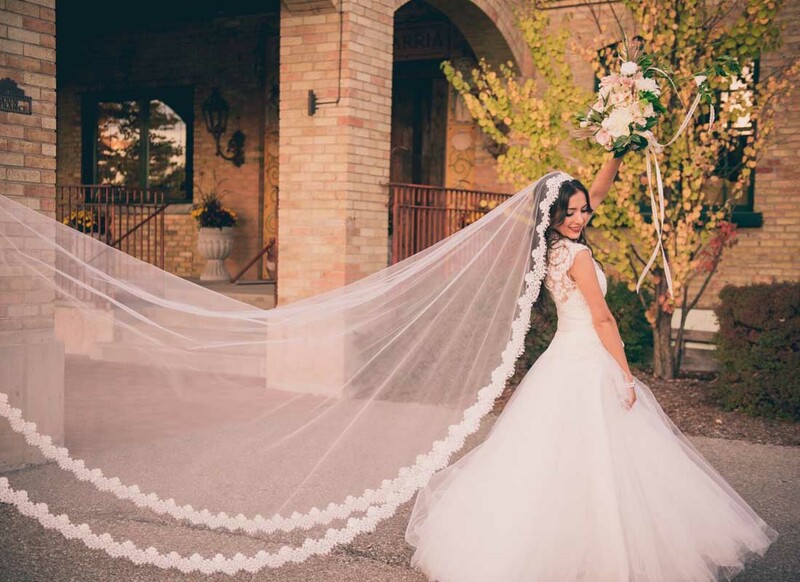 You can still have a veil with the traditional blusher that once made veils so popular, or you can forgo the blusher and keep all eyes on your beaming smile as you walk down the aisle. 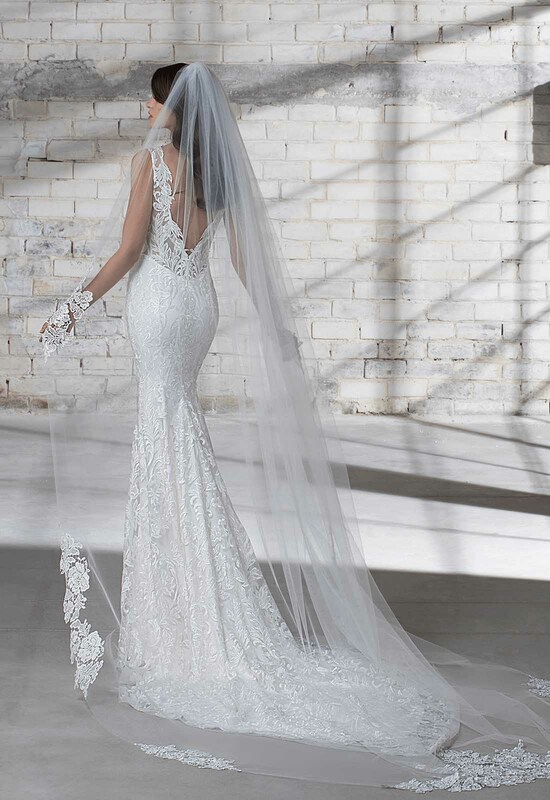 Knowing that brides like a mix of traditional and modern, Pnina Tornai has designed a variety of stunning cathedral length veils for her 2019 LOVE by Pnina Tornai Collection! Some are trimmed with lace and some are trimmed with bling, but they are all gorgeous jaw-droppers. 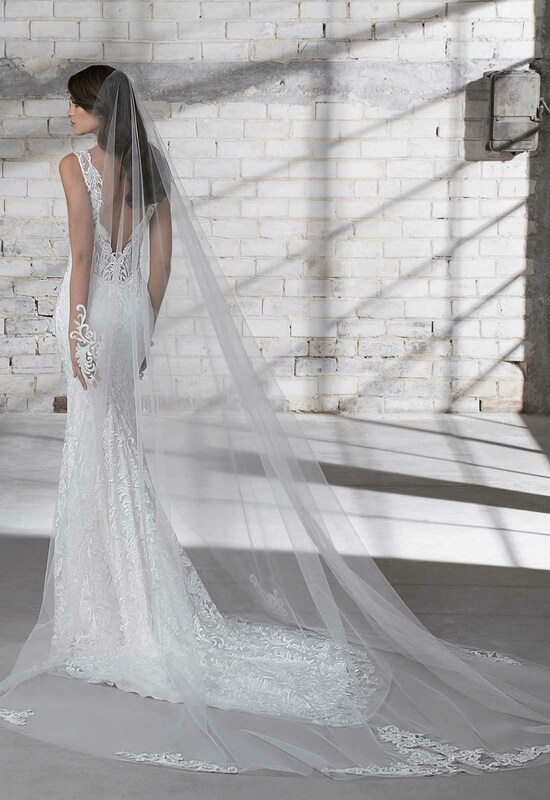 Perfectly sheer so that your true love and guests can still marvel at the back of your dream wedding dress, all of these veils are winners. Just take a look at them and I know you will fall in love!